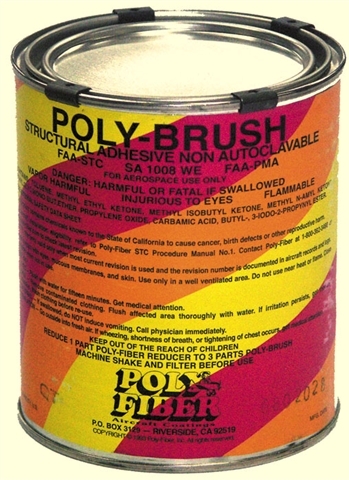 Poly-Brush, formerly known as "Magic Primer" is formulated for use on iron-on fabric coverings. Poly-Brush will allow any kind of paint to be used on Solartex. One quart will be enough to cover most 1/3 scale models. Poly-Brush is also used as the sealer for our Planetex Covering. Poly Brush comes from the Full Scale world and is used to seal the fabric on Full Scale airplanes. It creates a mechanical bond in the weave of the fabric while adhearing it to every bit of structure the fabric touches.